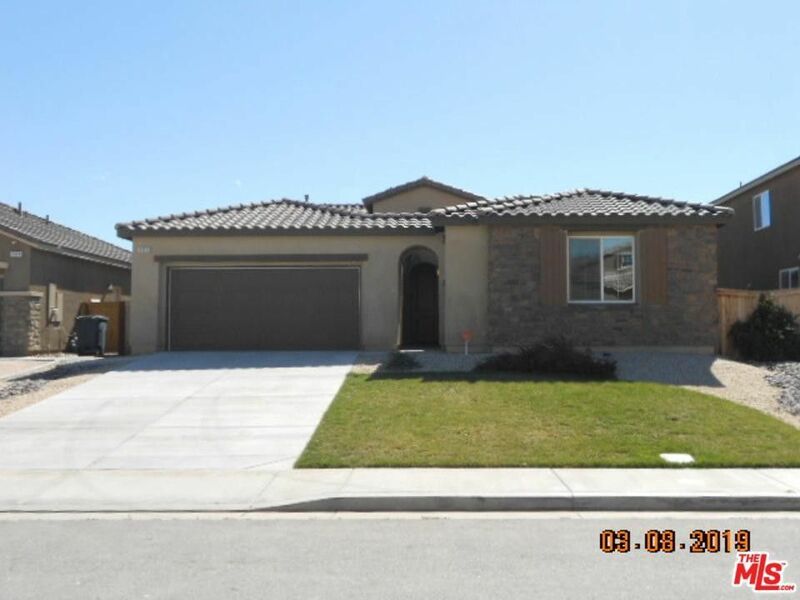 Newer single story Rosamond home. Home features low maintenance landscaping in front and courtyard entryway. Kitchen open to Great room. Kitchen features granite countertops and large center island with bar area. Good sized bedrooms, covered patio and 3 car tandem garage. Cul-de-sac location.